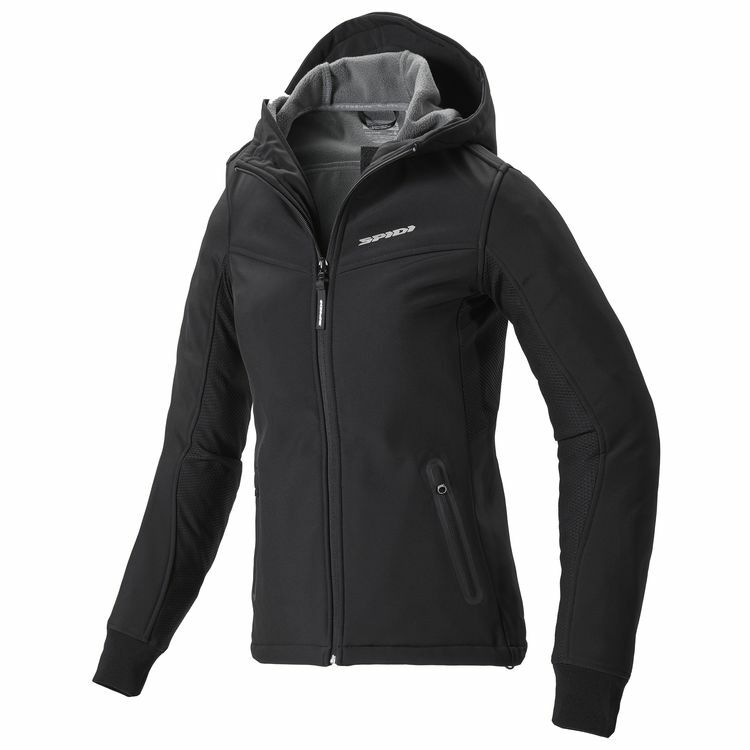 The Women's Hoodie Armor Jacket from Spidi is constructed from abrasion-resistant Softcell fabric with a microfiber liner and reflective details. Drawstring closures on the hood and hem keep the jacket firmly in place. The knit cuffs provide all-day comfort.